Greetings, ladies and gentlemen! 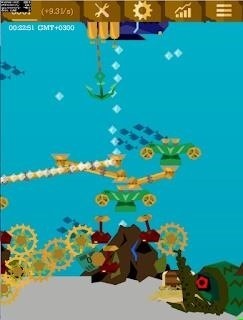 I'm happy to invite you to test my latest steampunk creation: the Underwater world of Steampunk Idle Spinner game. This is the fifth world of the game and it was the most requested addition according to the poll, which was run in the Steampunk Idle Spinner community on facebook. You can get the game on Google Play from your Android mobile device or play from your computer at Kongregate. The game has integrated tutorial, which will guide you through the initial steps. All the interface buttons have tooltips to let you see what they are doing.